← Thrift Store Jackpot or Who Wants Cookies? Remember how I said my husband had given me several (at least 8) pair of blue jeans that no longer fit? He is the only person I know who can lose weight and keep it off. Annoying! 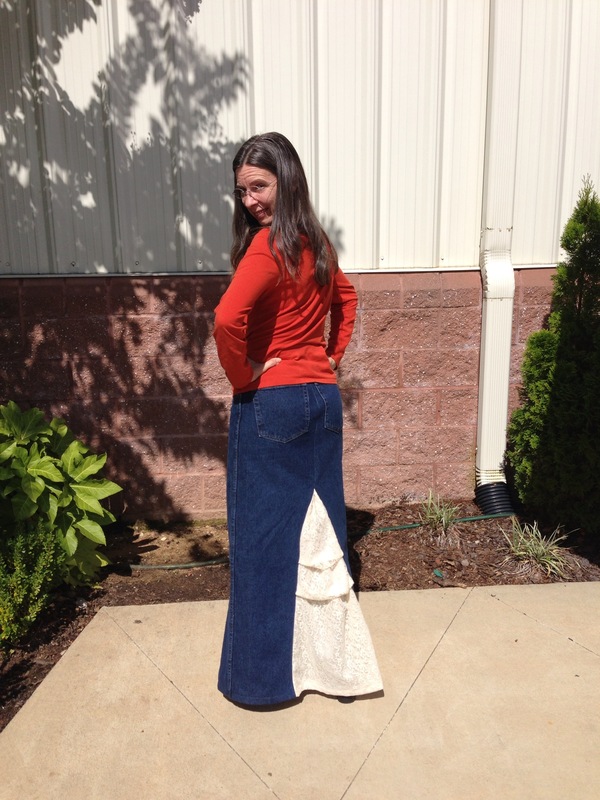 Anyway, I have been using the denim for various re-purposing projects. 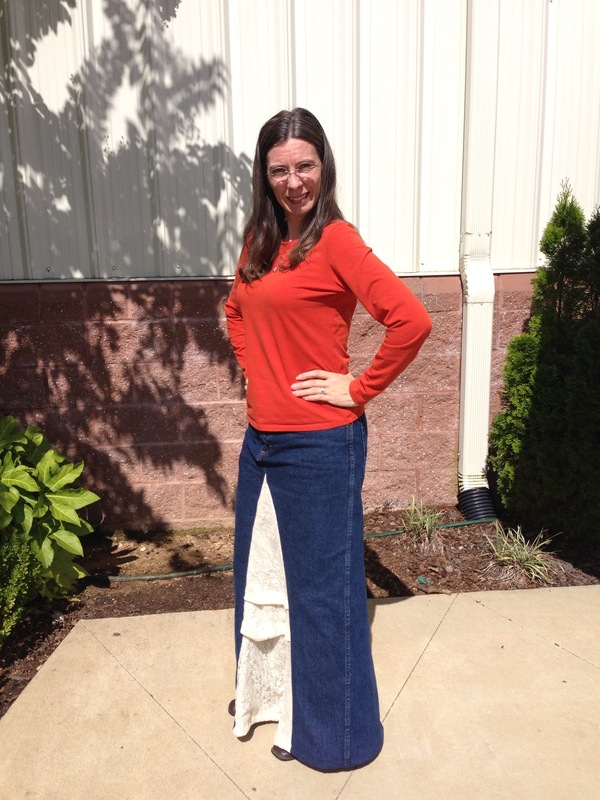 The latest one is the transformation of his jeans into a skirt for me. This was a really easy project that involved cutting out the inseam and inserting a long triangle of lace (with lining to avoid embarrassment) between the legs. The most difficult part of the project was figuring out how far up to cut into the crotch to eliminate the protruding bump in the front and back. Surprisingly, you have to cut pretty far up in both the front and back to eliminate this problem. You can still see that there is a point in the front that could be cut back a bit for a smoother look, but it is not bad for a first attempt. Also, you can see that the front was cut much higher than the back. I like the back better, out of the two.